Permanent Canada Visas are visas which allow the holder to stay in Canada permanently. Canada has always been a popular country for people to go to and visit and its popularity is just increasing. People from all over the world want to go there to study or work, as well as visit it and its beautiful nature. However, to be allowed to visit Canada most people will need a visa. A Canadian visa is used to enter the country, but it does not guarantee that the holder will be allowed in. The Border Officers are the ones responsible to check the visas and the people who hold them decide whether to let them in. If they do not have any suspicions, they will allow you to pass the border and visit. This article will go through the relevant details on these visas and the Permanent Residency in Canada. 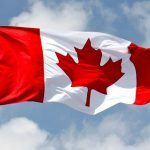 What is a Permanent Canada Visa? A Permanent Canada Visa is a visa which allows the holder to stay in Canada permanently. It is an immigration visa, just like the Green Card is for the United States. Once you get a Permanent Canada Visa, you can move to any province of Canada, live, work, and study there. You are considered a Canadian Permanent Resident. To get these benefits though, you must regularly pay Canadian taxes and respect the laws. 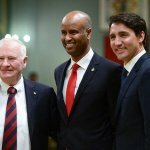 Even if you are a permanent resident of Canada, you are not allowed to vote or run for political office as well as hold jobs that need high-level security clearance. Once your visa is approved, you will get a Permanent Resident Card. This card, otherwise known as a Canadian PR Card proves that you have permanent residence in Canada. You must have it with you at all times, especially when you travel. To prevent losing your status involuntarily, you must abide by all the rules and regulations of your visa as well as the laws of Canada. What are the types of the Permanent Canada Visas? The most attainable way to get a Permanent Canada Visa is to find a job in the country. There are different programs which will lead to such a visa, as described in the table below. The Federal Skilled Worker Program (FSWP) visa is given to those who have occupations which are required in Canada. You must check the types of occupations Canada needs when you start planning to apply and obtain the necessary points. The Provincial Nomination Programs (PNP) visa is for semi or low-skilled workers who can contribute to the Canadian economy though their work. The workers get placement in different provinces of Canada where the demand for their work is higher. If you have one of the occupations required in the Canadian province of Quebec and you are fluent in French, then you can apply for the Quebec-Selected Skilled Worker Program (QSWP) visa which will allow you to move and work permanently there. If you have close family in Canada such as a spouse, parents, or children who are Canadian Permanent Residents or Citizens, then you can get sponsored through them and call for family union. Through this, you can get on the Family Sponsorship Program which allows you to become a Permanent Resident of Canada. The Canadian economy is continuously developing and if you are a businessperson who can contribute to it with resources, then you can get one of the Canadian Permanent Visas as follows. 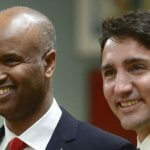 The Immigrant Investor Program visa is given to people with a net worth of at least CAD$800,000 who will make investments in the Canadian economy. They must invest at least CAD$400,000 and the government will return the investment to them in 5 years without any interest. The Entrepreneur Program visa is given to people with a net worth of at least CAD$300,000 who will be individually involved in contributing to the Canadian economy. 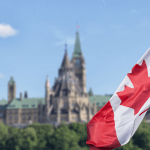 These investors must commit to owning and managing at least one third of a Canadian business as well as create and maintain employment within 3 years of being in the country. The Self-employed Persons Program visa is given to people who have skills in business, athletics, culture, or farming and can start their own businesses. These people must demonstrate how they will finance the business and prove their skills in those particular areas. Other permanent visas are those that do not necessarily fit within the categories above but are valid ways to get permanent residence in Canada. This visa is given to caregivers that are qualified to care for elderly, disabled people, or children and live in a private home in Canada. This visa is given to those who have a temporary student visa or a temporary workers visa and want to switch to a permanent resident status. They either have a Canadian education or work experience and have settled into Canadian society. What are the requirements of the Permanent Canada Visas? You must submit an Application for Permanent Residence (aPR). If you fulfill these requirements, then you will have visa specific requirements. For example, you must have a valid job offer for any of the permanent visas that you get through employment, prove your relationship to your family member if you want a family immigrant visa, prove your net worth for the business immigration visas, etc. How to apply for a Permanent Canada Visa? Each Permanent Canada Visa has their own application process, but they have some similarities. In general, you will have to go through the following steps to apply. Visit the Government of Canada website and go to Immigrate and then to “Find out if you can apply”. Take the questionnaire and wait for the results. If you qualify for any of the permanent visas, you will get a reference code and instructions on how to apply. Create an account using your bank information or the Government of Canada login (GCKey)/\. Start and submit your application by inputting your reference code and completing the necessary documents. When you submit your application, you will have to also pay the application fees. Wait for processing and if necessary, attend a visa interview and give your biometrics information. Check your account frequently for any notifications on the status of your visa processing. If your visa is approved, mail in your passport according to the instructions that the Canadian Consulate sends you with the processing fees. The Consulate will stamp the visa on your passport and send you a Permanent Resident Travel Card (PRTC) with your passport via mail. You can then travel to Canada and wait for your Canada PR Card to be mailed to you. Congratulations! You are a Canadian Permanent Resident.